A good matching pair of WWII Sergeant rank stripes, removed from uniform. A pair of summer/ tropical issue Sergeant stripes, removed from uniform with light wear. From the 1981 film starring Donald Sutherland.Pair of Designation Flashes for Home Guard Units. A pair of Lance Corporal rank stripes, removed from uniform. A pair of used and removed from uniform Home Guard Titles. Some service wear. A cloth embroidered 15th Scots badge in good condition. Measures 1 7/8" x 1 7/8"
A 7th Armoured Division formation sign in cloth (facing right) used and removed from uniform. 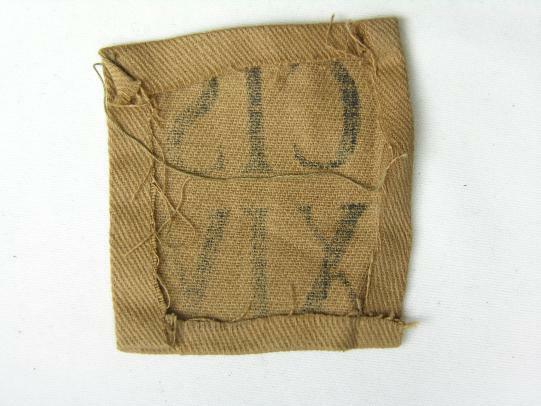 Measures 1 1/2" x 2 1/4"
A 7th Armoured Division formation sign in cloth (facing left) used and removed from uniform. I have 3 in stock all similar condition. The division fought in most major battles during the North African Campaign; later it would land and fight in the Italian Campaign during the early stages of the invasion of Italy before being withdrawn to the United Kingdom where it prepared to fight in North-west Europe. It began landing in Normandy during the afternoon of D-Day, 6 June 1944, and fought its way across Europe ending the war in Kiel and Hamburg, Germany. 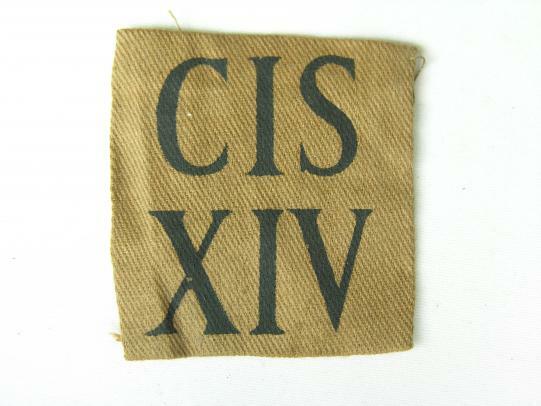 An 11th Armoured cloth formation sign used and removed from uniform. Measures 2 1/4" x 1 7/8"